The location is at Fairview, Virginia. The "Take It!" came from seeing the results of a full flower make over on the median. 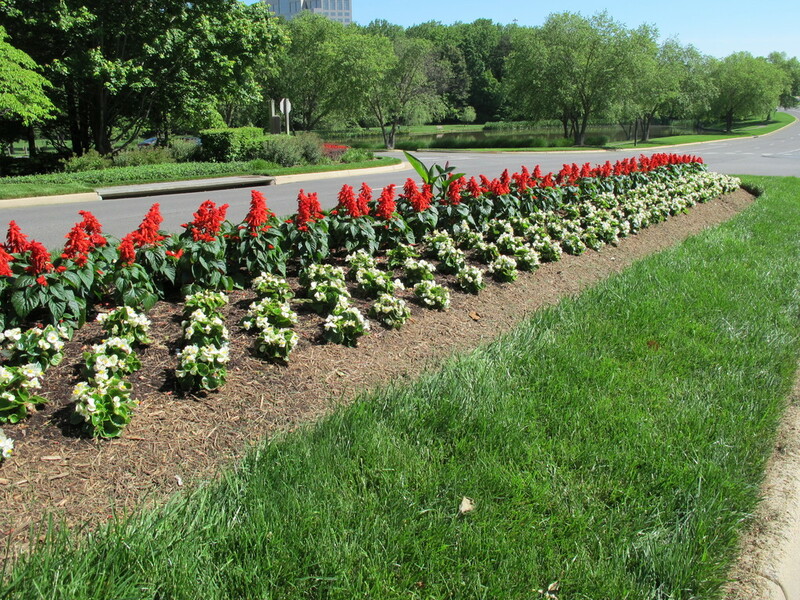 An army of groundskeepers discended upon the finished tulips and planted these new red flowers which I am waiting to see if they will grow taller. As they are right now, they are pleasing and fresh. The precision in the placement and separation of the flowers is also for me a great part of the show. The After Take: Now that we have taken some previous time looking at the lake, this is just a little update. The water was smooth and the reflection just as relaxing as the first visit I made several weeks ago. I spoke to a lone walker about the tranquility of the place and was told that was what had attracted him to move to one of the high rise appartment buildings which was hidden behind some of the tall trees surrounding the lake. We will vist here as many times as they change out the flowers through the seasons. Here is hoping you keep flowers inside your home and enjoy them as they go through their cycle. This is one of those ways we can enjoy having change be good. Thanks for joining us for the current photo presentation. You are cordially invited to return Tuesday, July 10th for a new picture that we hope you will enjoy. 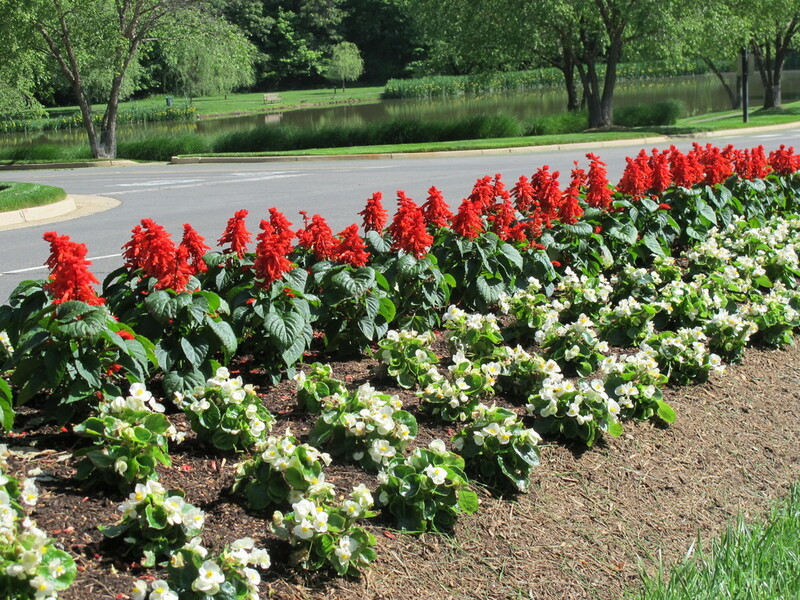 So these flowers are located right across the street from "The Pond Beyond." What a pretty view. I could spend an afternoon on that bench in the background and never get bored. It is nice to see some cities actually make the effort. I am actually curious now to see what happens here during the fall.